The Maidstone hotels listed below are either in the town or we have given a rough guide as to how far they are from Maidstone. We hope you enjoy your stay and find your ideal accommodation. Bed and breakfast near Maidstone. Easy reach Kingshill, M20 M25. Attractive Cottage Annexe to Georgian House in High Street. Double Bedroom, Sitting Room bathroom with own entrance to street. Off street parking. Quiet location.Broadband facilities. Station: . . From the M20 - exit at Junction 5 follow the A20/Maidstone(WEST). At the next roundabout take the third exit towards Aylesford / A20 West, at the next roundabout take the 1st exit, go straight over the next roundabout then turn left at Buckland Hill, then turn right into St Peters Street the Travelodge is located on the left. Station: MAIDSTONE EAST . 1mile. Maidstone rail station is within walking distance. Head East on Station Road towards Week Street. Turn left at Week Street onto Sandling Road. At the roundabout take the first exit onto Staccys Street. Slight left at Hardy Street. Right at John Street. Turn left at Boxley Road. Hotel is on the left. Station: LENHAM. 1mile. Leave the M20 eastbound at Junction 8 and follow signs for Lenham past the Great Danes Hotel and over two roundabouts towards Lenham on the A20. In Lenham village turn right into High Street towards Headcorn. Pass the station on your right, go over bridge and take next left sign posted Egerton on Boughton Road. At the crossroads with White Horse Pub on right proceed over crossroads for 1/4 mile over motorway bridge, then the entrance to hotel is immediately on your left. Station: BEARSTEAD. 1mile. Leave the M20 at Junction 8 and take the Lenham exit at the first roundabout. At second roundaboud take right hand exit signposted Bearsted and Maidstone. The hotel can be found approximately 1 1/2 miles on the left. Station: BOROUGH GREEN. 2miles. Via Dartford tunnel, leave the M25 at Junction 3 onto the M20. Leave the M20 at Junction 2 onto the A20. Follow the signs for Paddock Wood. The hotel is 200 yards along on the other side of the 4th roundabout on the A20. Via Gatwick, leave the M26 at Junction 2A, at the roundabout take the 3rd exit the hotel is situated 200 yards up on the left hand side. Station: MAIDSTONE EAST . 1mile. From the south - take M20, exit at Junction 6. At the first roundabout take the 3rd exit signposted A229 Hastings at 2nd roundabout (Running Horse roundabout) take the 3rd exit signposted Aylesford. The hotel is located 100 metres on the left hand side. From the north - take M20, exit at Junction 6. At the roundabout (Running Horse roundabout) take the 4th exit signposted Aylesford. The hotel is located 100 metres on the left hand side. Grange Moor Hotel is set in a quiet location one mile from Maidstone town centre. With landscaped gardens it offers en suite rooms, a restaurant, and free parking. Stay at the Ramada Hotel and Resort Maidstone and experience everything you expect from an international hotel company. 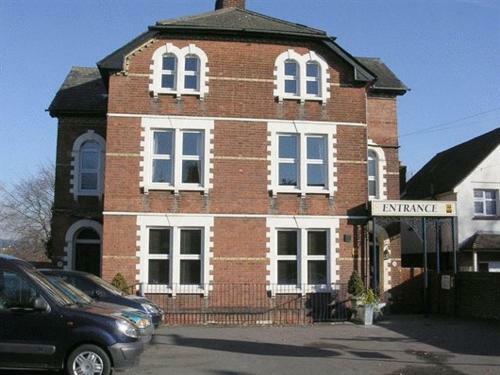 With free parking and stylish bedrooms, Oakwood House features a popular bar and restaurant. 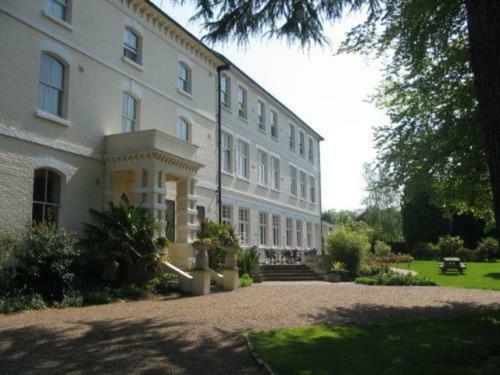 Set in leafy grounds, the hotel is situated in Maidstone. In a grand Victorian mansion, the hotel has 40 beautiful bedrooms, each with a flat-screen TV. Near the River Medway and close to the M20, Village Maidstone is a great Kent base, offering a good night's sleep, stylish dining, pub grub and health and fitness. Surrounded by beautiful countryside, Tudor Park offers a private 18-hole PGA golf course, free parking and a swimming pool. London is just 30 miles (48 km) away. The Russell Hotel: Accommodation, Conference facilities and Wedding venue in Kent's County Town of Maidstone. Our hotel is situated at the heart of the 'Garden of England' on the outskirts of Maidstone. A short walk from the centre of Maidstone, this large, family-run Victorian guest house offers well-equipped bedrooms, free parking and a hearty breakfast every morning. Providing comfortable, good value accommodation, Premier Inn Maidstone (Allington) is close to a Park & Ride service, offering the perfect base from which to explore the surrounding area. In a quiet, peaceful location, in an area of outstanding natural beauty, close to Leeds Castle, this rural pub and restaurant has 16 charming, individually designed en suite rooms. Each of the rooms has its own unique charm. This modern Hilton hotel has spacious rooms, an indoor pool and a gym. Maidstone town centre is within a 10-minute drive and the M20 is close by. Living Well Health club has a sauna and a jacuzzi. Off junction 6 of the M20 motorway, with a riverside location about 400 metres from the Museum of Kent Life, this hotel has comfortable, great-value en suite rooms and free parking. The Premier Inn Maidstone (Sandling) is only 2. 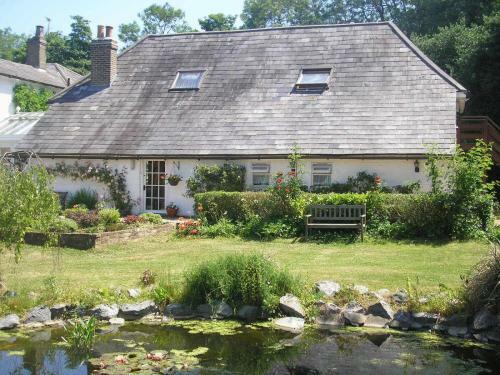 Situated in a countryside location on the outskirts of Maidstone with easy access from the M2 and M20, this beautifully converted coach house offers friendly 3-star bed and breakfast accommodation. In the centre of Maidstone, within easy walking distance of shops, restaurants, bars, clubs, cinema and the train/bus stations, this is a friendly and comfortable family-run hotel. Station: MAIDSTONE EAST . 5miles. From London, join the A20 onto the M20, Maidstone. Exit at Junction 8 and follow the signs for Leeds Castle. Take the 3rd roundabout into the hotel grounds. For hotels accommodation in other areas nearby see Gillingham hotels, & Sittingbourne hotels.